Yes, Forest and I are in Cairo, Egypt! We are safe and happy creating a fantastic documentary film. 3 days of meeting many wonderful people, finalizing our local crew and Egyptian cast, quite a task in itself. To remind you, we are bringing Americans and their families on a free trip to Egypt so that they can experience this place for themselves, creating a feature documentary around it. Every single person we met here has been an absolute delight (minus one … more on that later). This is my very first time in Egypt and first time directing such a large crew and cast. Talk about going from 0 to 60 in a few seconds. The gratitude that I feel for this project, Egypt and the people I’m working with is propelling me forward at a dizzying speed. The reason why we’re here now is to arrange for the big trip later this summer, part of which includes location scouting. Yesterday we went to the pyramids, which brings me to the “minus one” person. There is a bit of a fiasco at the gates to the pyramids because they closed at 4pm due to Ramadan. As a result of a flurry of loudly spoken Arabic words exchanged by our people and the gate keepers we end up in horse-drawn buggies going to somewhere outside the pyramids for a “nice view.” The ride is intense and beautiful. We are going through the suburb of Giza, a colorful and dense region populated by many smiling faces, horses and camels. We start climbing the desert hills. Our driver and horse have a good working relationship, the horse is allowed to rest when he needs to. It is quite beautiful, they way the understand each other without words or the violent whip. I can’t say the same for the other driver. He is cruel and ruthless and he breaks his whip on the horse’s haunch. We get to our vista point I am in tears. I want to free the horse, tend to his bloody cuts and send his oppressor as far away as possible. But I cannot. The torturer is a young man. He knows how I feel and I don’t know if that makes him prouder of his power or gives him a second thought about his actions. The view of the pyramids is stunning and impressive. The sacred and the suffering seem to have a lot in common, don’t they? I don’t have it in me to get a smiling photo of myself in front of the pyramids. I just stand there and let it all mix in with the strong wind that wipes my tears. When our American travelers arrive, they will not be taking the horse and buggies to the pyramids. Sending you much love and a warm embrace from the Egyptian sun. Forest Sun’s new single, “Now or Never” with Gawain Mathews and Kyle Caprista. 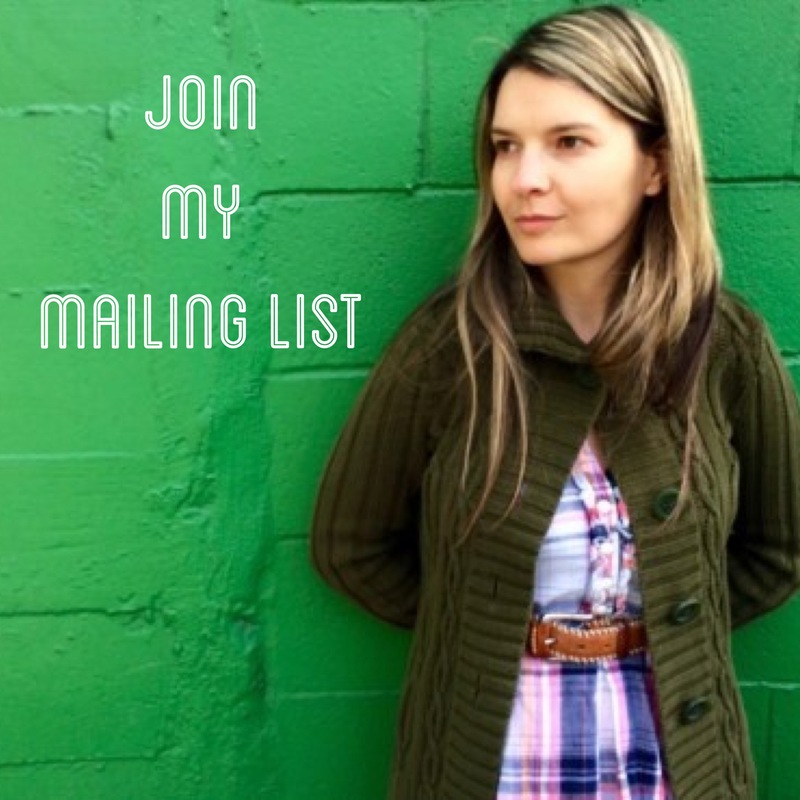 For regular updates, join my MAILING LIST. Sending joy and gladness on this day of Christmas celebration. I was going to wait and write you at the end of the month, as usual, when I send you that month’s film but the falling snow made me think of sending you some love today. We really are having a white Christmas. Forest and I recorded our version of Blue Christmas. With an accordion. We had a lot of fun making this video. Hope it brings a smile to your face as well. I’ll talk to you soon! In less than a week when I send you movie #11 of my movie challenge. How this year has flown by! PS. Our outfits above are the typical clothes people in the north or Romania wear during the holidays. This region is called Maramures and it is magical. I got quite a bit of footage up there for the vampire movie! I could tell you so much more but I’ll save it for another time. The only thing I want to say is that the women in Maramures are unapologetically powerful. I was moved to tears. More on that later. …. I hope this letter finds you well. Along with this month’s film I’ll give you a quick recap of the month. I’ve been preparing some more for making our feature documentary about vampires. As it stands now, I’d like to go film it in the fall and winter in Romania. I had a great meeting with 2 doc filmmakers I really admire whose latest film was featured by the New Yorker as part of their new film series on Amazon. Zach and Alyssa are super cool and knowledgeable and very generous with their expertise. Last week, I was hired to go and direct/film a feature doc in the Santa Cruz mountains. That was crazy! I learned and sweated A LOT. I can tell you more about that later. And now, to the business at hand, this month’s film: Murder in North Beach. I love a good murder mystery. I’m a big fan of Agatha Christie, especially of her “Hercule Poirot” series, of AC Doyle’s “Sherlock Holmes” (I really like the 80’s British series with Jeremy Brett) and the Australian series “Miss Fisher’s Murder Mysteries” on Netflix. This film is only available to people on my mailing list. If you’d like to join, email me and I’ll add you and send you the password to watch this film. One evening, I went over to my neighbor Kristie’s house. I was hanging out in her kitchen and just couldn’t get over the lighting in there. It was so perfect! I took a few photos that night and decided to do something there. A few days later, I woke up with an idea. I went to my desk and wrote it; a murder mystery short film to take place in my friend’s kitchen. You can imagine my excitement at this little wish come true. I wrote a part for myself in it too so the playfulness of this project just went up another notch. And it does’t stop there! As I’m writing and thinking about names for my characters, it’s very clear to me that the name of the victim should be Ms. Molinari. A couple of days later I’m walking down the street and I happen to look up just in time to see Molinari’s Delicatessen in large letters on a wall. Chills and giddiness and meant-to-be-ness! Long story short, I asked my dear friend Cassie Jaye to co-direct with me (she is my favorite director ever) and Evan Davies to be the cinematographer. Allie Larkin whom I love like a sister googled special effects makeup techniques and did a pro-job on Ms. Molinari’s neck as well as script supervised. Forest played the role of the detective, made lentil soup for everyone and is also the music supervisor. I asked Kristie who’s kitchen we filmed in to play the leading role and the other neighbors to play either themselves or the dead body. Scott Steiner recorded all the dialogue and lent us his house to shoot the murder scene in. No one had acted before! It was crazy fun. Evan had pulled a muscle in his thigh and was in a lot of pain but still carried a heavy camera with no easy rig AND pulled focus all by himself. He’s a super human! Not having acting experience on a film set poses all kinds of challenges too. I love working with non-actors. The craziest challenge of it all was that Kristie worked for … I still don’t know what it’s called, but some sort of place where they take dead people and “process” them for organ donations. Not pretty. Just as we started filming someone died in strange circumstances and Kristie had to do her job. Imagine shooting scenes in-between phone calls to mortuaries, a crazy boss yelling at her over the phone and a possible real ghost floating about. Kristie was a trooper! All that said, the production was really fun for us and the neighbors, Evan’s leg recovered and I would work again with these guys in a heart beat. I would really like to re-write this story in a longer format, maybe a 20-minute episode. Or turn it into a series? What do you think? It’s not perfect, but it’s a sketch of something we’d like to create later down the line. Thank you SO much again for watching these films and giving me your feedback! I think it’s time to think about festivals. Which one is your favorite film so far? Hello my dear friends, old and new and all cherished. As usual, this and all my other monthly films are not perfected but finished. It’s my practice this year. To let it go and not tinker with it until it’s “perfect.” Thank you for watching and being so supportive. I can’t wait to hear what you think of this one. If you can think of a better title for this film, let me know. I’m open to ideas. Here comes the impossible task. I wanted to compose real musical pieces that I “hear” in other people’s bodies and souls. Yes, I’m not forgetting the soul. The Soul is the grand orchestrator and conductor. I am writing you from the bus driving down Lombard street in San Francisco. There’s wifi on the bus. Slow but good enough to write you this letter. What a day! I just finished the edit and ran to the bus station. The film is not uploaded to vimeo yet (slow internet at work today) but by the time you get this message it will be there waiting for you. This month I took on an impossible task! Let me rewind for a bit. It was June 1st and I was lying in bed at night awake, thinking about sound and planets and what is it that brings harmony and discord between us. I grabbed onto a mental thread and followed it. Sound is vibration. We, our bodies are constantly vibrating with life. This means that we are producing a constant sound. A song! Maybe the harmony and dissonance that we feel with each other has to do with the clashing or harmonizing of our “songs.” Kind of like Pythagoras‘ “Music of the Spheres” but within. It gives a whole new meaning to listening. The symphony of life. Password protected film link here: https://vimeo.com/173000874So I asked a few people I love to stand in front of my camera and look into the lens for 2 whole minutes. Amazing vulnerability, beauty and a sense of the infinite … That’s what I’ve been feeling all day editing. As if I traveled to the stars and saw what we’re made of. Powerful stuff, looking into each other’s eyes. With under an hour before the midnight bell rings, here comes Humphrey, a sweet robot who’s greatest wish is to have a friend. There’s so much more work I would like to do on this film but I ran out of time. I would like to spend more time on the music and so much more. But, like I set out to do, I’m going to be ok with it being imperfect. I think Humphrey’s got a beating heart. In the next couple of weeks, I’ll write a blog post about how I made this film and composed the music which proved to be the seed of the entire story. It’s been a very busy month with not only making this film but creating a kickstarter video for Forest. You can see it HERE. I’m pretty proud of it. It’s a release on vinyl of his most beloved album, “Walk Though Walls” plus two new songs that I sang on (boy did I sing. ha! … I’m not kidding. There are some notes in dog hearing range.) If you’d like to support his (our) music you can go to the campaign and make a pledge. One more pat on the back for me. Forest’s fund raising video is my second one of that kind and Kickstarter is featuring it as a project they ❤ . Two out of two! I’m setting a high bar for myself. Thank you SO much for watching my films, listening to my music for writing me and encouraging me. You’re the best!! PS. A ton of thanks to Cassie for lending me her camera and to Al for making that adorable extroverted goat. My computer is at 24% (we’re in the city and I forgot my power cord), the video is slow …. ly uploading to vimeo, I’m breathing and staying calm …. ish. It’s been a total mad dash. This music video for Forest‘s song “Weep and Wail” has been by far the most challenging monthly movie project for many reasons. I felt extra pressure to make it so that the artist aka my husband would love it. I had to work with the most actors I’ve worked with so far who were all just delightful, including the most exemplary music video extras you could ever find. Plus, I did lots and lots of driving in traffic to and from the east bay. Twice. Ok, enough with the hardships, I really like the way it turned out. Not perfect, but that’s the point of these monthly exercises; to live with imperfection. Big thanks to Jordan and Joaquin for sending me the most beautiful Australian and New Mexican skies. I finished filming on Wednesday evening, started editing on Thursday evening and had bits of time yesterday and today in-between films and events at the San Francisco International Film Festival. I even got to be on a Virtual Reality filmmaking panel. What? It was virtually captivating. As always, thank you SO much for taking the time to watch my films. Write back if you can. About sharing these films: Feel free to forward my email to friends. I’m not sharing any of these films publicly on social media as they are in progress but if you feel that someone would enjoy them forward away.